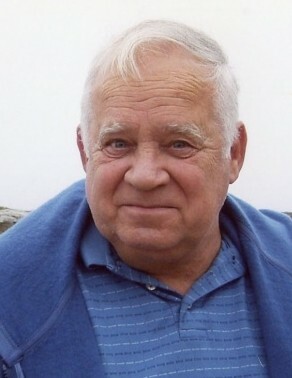 George Berryman, age 78, passed away peacefully in the Charwell House Health and Rehabilitation Center in Norwood, Massachusetts on Sunday, January 20, 2019, surrounded by his loving family. Born in Boston, Massachusetts on December 25, 1940, he was the third child of twelve born to the late Kenneth and Virginia (Damon) Berryman. He spent his early years in the West End of Boston, until his family was displaced by major construction. In 1947, George’s family settled in Rockland, Massachusetts, where he attended Rockland High School. George left high school, joining the United States Navy, proudly serving his country during the early stages of the Vietnam War. He took his basic training at the US Naval Training Center, Great Lakes in Illinois, and was stationed with Company 31 at the Naval Air Station in Pensacola, Florida, serving as a jet engine mechanic. He was honorably discharged from the Navy in 1961, however remained active in the US Naval Reserve in Weymouth until 1964. George spent most of his life in construction, as a self-employed vinyl siding contractor on the South Shore. As a lifelong lover of antiques, he also worked with Shute Auction Gallery in Brockton in the 1990s. He retired from his construction career in 1995 and from the gallery in 2002. George married his wife, Mary C. "Mim" Landrigan on February 26, 1999. Together they made their home in Norwood before settling in Walpole in 2016. His love for antiques continued outside of his job, as George regularly spent his weekends searching for various “treasures” at local yard sales and home clean outs. He would take a break from his treasure hunting on Autumn Sundays to cheer on his beloved New England Patriots. Most of all, George was dedicated to his family and looked forward to the times that he was surrounded by those he loved, especially his grandchildren and great grandchildren. George’s family wishes to thank both Kindred Hospice and the staff at the Charwell House for their wonderful care for him. Beloved husband of Mary C. "Mim" Landrigan. Loving father of Paul Berryman of Whitman, Tammy Glass of Wareham, George Berryman and his wife Dorene of Louisburg, North Carolina, Jennifer Bailey of Weymouth, and the late Stephen Berryman. Step father of Brian Ryle and his wife Mari Kym of Norwood, Erin Kelleher and her husband Michael of Foxboro, and Colin Ryle and his wife Tracy of Walpole. Cherished grandfather of Kevin Jordan of Wareham, Katelyn Jordan of Onset, John Berryman of NC, Mary Berryman of NC, Erin Glass of Wareham, Camryn Bailey of Weymouth, Riley Glass of Wareham, Tyler Bailey Weymouth, Kenneth Berryman NC, Shannon Kelleher of Foxboro, Owen Ryle of Walpole, and Jake Ryle of Walpole; and great grandfather of CaleighLou Jordan, Jade Jordan, Cody Davis, Kolton Berryman, and Kannon Berryman. Brother of Charlie Berryman of Abington, Linda Vail of Whitman, Debbie Sylvia of Rockland, the late Kenneth Berryman, the late Jack Berryman, the late Elaine LaRonde, the late Frank Berryman, the late Fred Berryman, the late Diane Kieffer, the late Thomas Berryman, and the late Scott Berryman. Relatives and friends are kindly invited to attend George’s Life Celebration on Sunday, January 27, 2019 from 12 pm to 2 pm in the James H. Delaney & Son Funeral Home, 48 Common Street, Walpole. A Funeral Home Service will follow at 2 pm. Interment will take place in the Massachusetts National Cemetery in Bourne on Monday, January 28 at 10:30 am. In lieu of flowers, memorial donations may be made to the Kindred Hospice, 130 Rumford Ave, #211, Auburndale, MA 02466.